Turmeric is used in India for more than 2500 years. In earlier days, it may have been used as dye. It is generally used in the powder format but some recipes use fresh turmeric such as pickle from fresh turmeric. 1) Good for cough and cold if taken with warm milk. It is beneficial if you take warm milk with turmeric every night before sleep. It develops immunity in long run. 2) Add a tea spoon of turmeric in hot water, add pinch of salt. Gargling with this hot water gives a relief from soar throat. 3) Add pure turmeric powder to boiling water and inhale the vapors. This relieves cough as well as sinus congestion. It is a natural antiseptic and antibacterial agent, useful in disinfecting cuts and burns. In case of cuts in kitchen or any where press some turmeric powder on the wound. 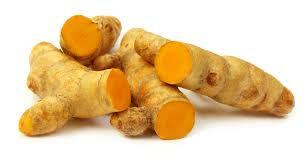 Turmeric is helpful in stopping the blooding from the wound. Mix turmeric powder and Gram Flour, mix it with raw milk. Apply evenly on your face. Wash off with lukewarm water and scrub your face in circular motion. You can use turmeric in combination with other ingredients to manage your wrinkle woes. Add raw milk and tomato juice to rice powder and turmeric powder. Apply the paste and let it stay until it dries. Lactic acid present in milk will help peel off the dead skin cells. You can add turmeric powder in buttermilk and sugarcane juice. This will work the best for dark circles and wrinkles. Turmeric-honey paste can be applied on the face and neck to help exfoliate skin and keep a check on pores. Not only does turmeric take care of the scars and inflammation but also reduce oil secretion by sebaceous glands. To prepare turmeric scrub, add a few drops of water and lemon juice to turmeric powder. Apply the paste on the acne affected area and leave it for about 15 minutes. Gently scrub it off your face with plain water. You can also use turmeric and sandalwood mixture as an acne face pack and wash it off in approximately 10 minutes. For acne scars, dab a mixture of turmeric and plain water and leave it on the marks for 15 minutes. To control oil secretion, prepare a paste of sandalwood powder and ground turmeric with orange juice. Leave the paste on your face for 10 minutes and rinse it with lukewarm water. In case you accidentally burn your skin you can turn to turmeric for quick relief owing to its antiseptic properties. Prepare a mixture of turmeric and aloe vera gel. Apply it on the burn and notice how it heals the wound in no time. Chickpea flour (sattu) or gram flour added to turmeric can be used as a facial scrub to inhibit hair growth. Be sure to apply this paste for about a month to notice results. Home remedies usually show results over a period of time upon consistent use. 1. Make sure that turmeric does not fall down as it discolors the surfaces permanently. 2. 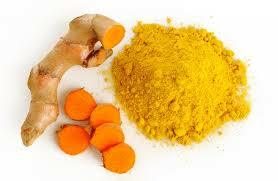 Avoid using curry powder for turmeric as it contains very little amount of turmeric. This entry was posted in Natural World and tagged medicinal values, plants, Turmeric, turmeric powder. Bookmark the permalink.